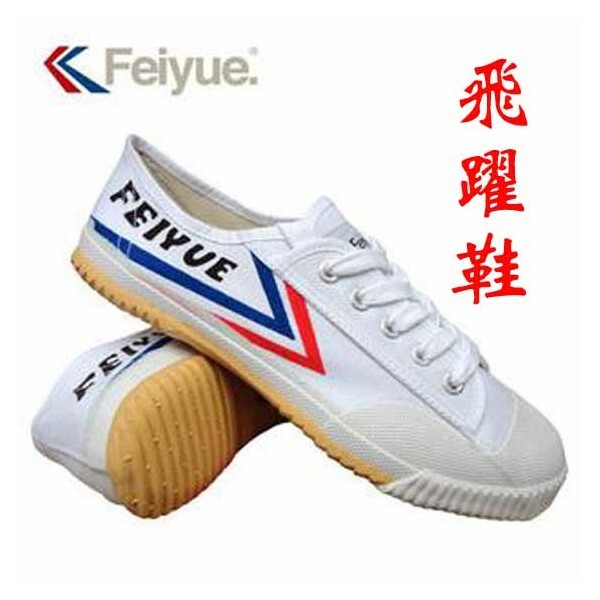 Feiyue Canvas Wushu/Kung Fu Shoes White - Bok Lei Po Trading Inc. 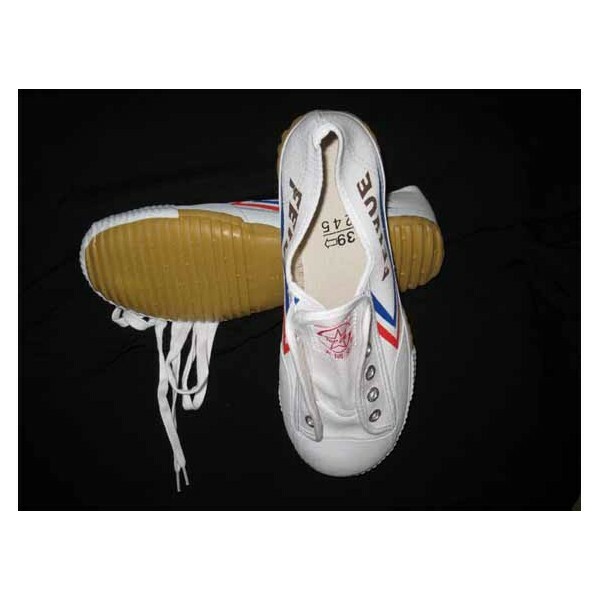 This is the most comfortable, durable shoe, it is a must have for all martial artists, the upper is made of canvas, the sole is made of rubber. 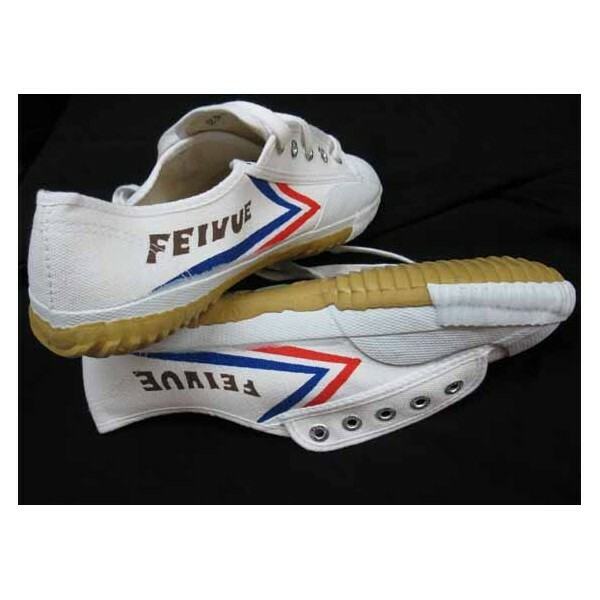 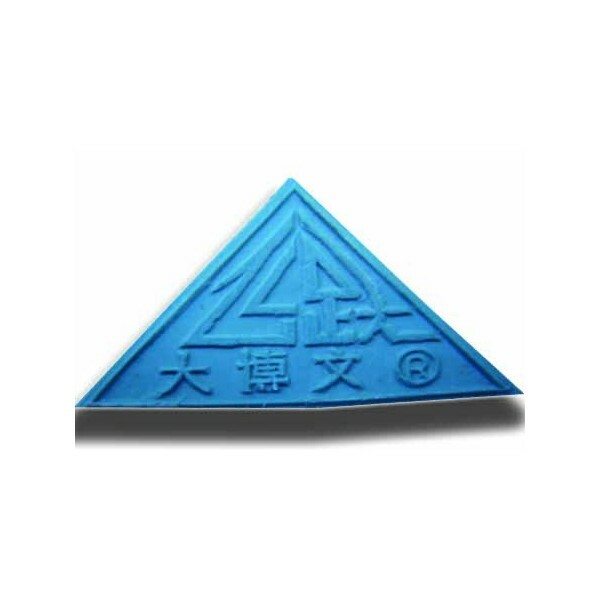 It is the shoe that Wushu teams in China, shaolin monks and other martial arts practitioners such as Tai chi, Chi kung, Hung gar kung fu, Wing chun kung fu and many other ware in their practice, performace,demonstration and more. 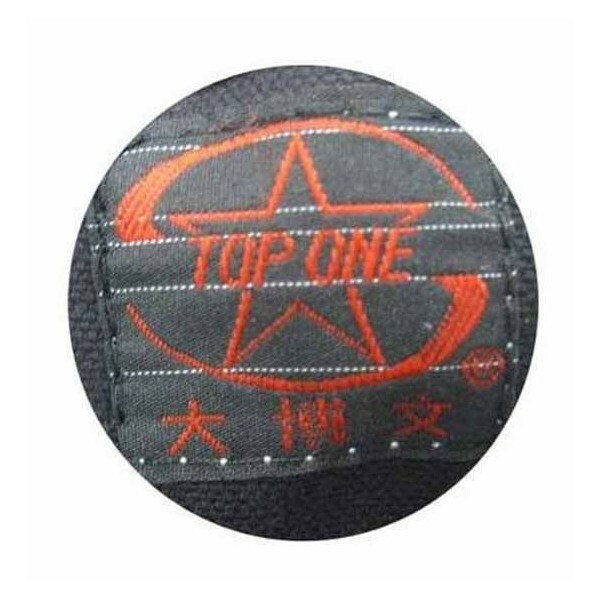 It is THE right shoe for all martial arts people. 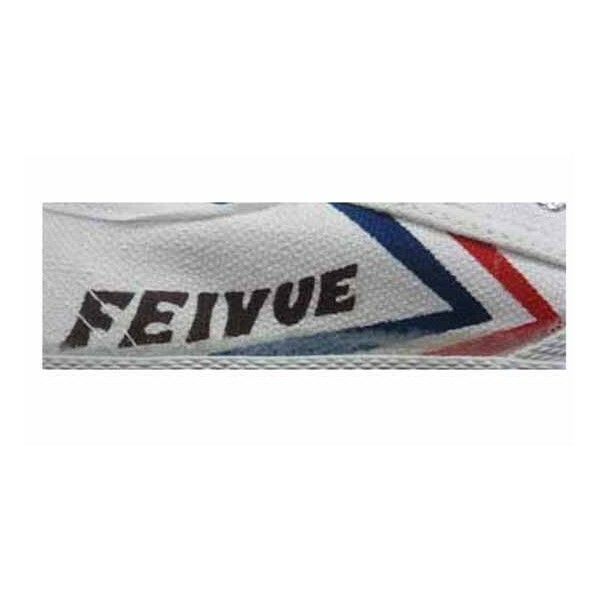 It is from "Feivue".